Jani Moon was trained in Ipsalu Tantra over 10 years ago. She personally has experienced the transformational healing power of Ipsalu Tantra. She went from being a woman who couldn’t even hug and who was in a sexless marriage, to one who fully embraces and loves intimacy and deep connection. She believes that you deserve to heal your life and enjoy what Spirit has gifted all of us. 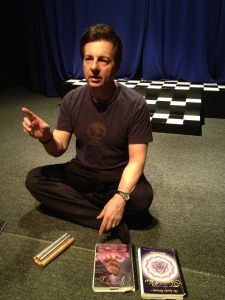 Peter has offered regular Ipsalu Tantra classes in NYC through a Meetup Group for several years. When Peter first became interested in Tantra over eight years ago, a friend suggested Ipsalu as the “clearest, step-by-step way to learn Tantra.” Now a Level 3 initiate, Peter is committed to helping beginners along the path. Peter is certified to teach Level 1 Cobra Breath through the Online Practicum, and looks forward to helping those interested in taking this step toward their own personal bliss. Peter is a Mentor with our Ipsalu Practicum home study course.